Alternate Titles: Zhiznt zo zhizn, A Tear for Every Drop of Blood, Za kozhduiu slezu po kople krovi, The Rival Sisters, Sestry sopernitsy. Once again I return to Russian filmmaker Evgeni Bauer, and again I find his work masterful and fascinating. 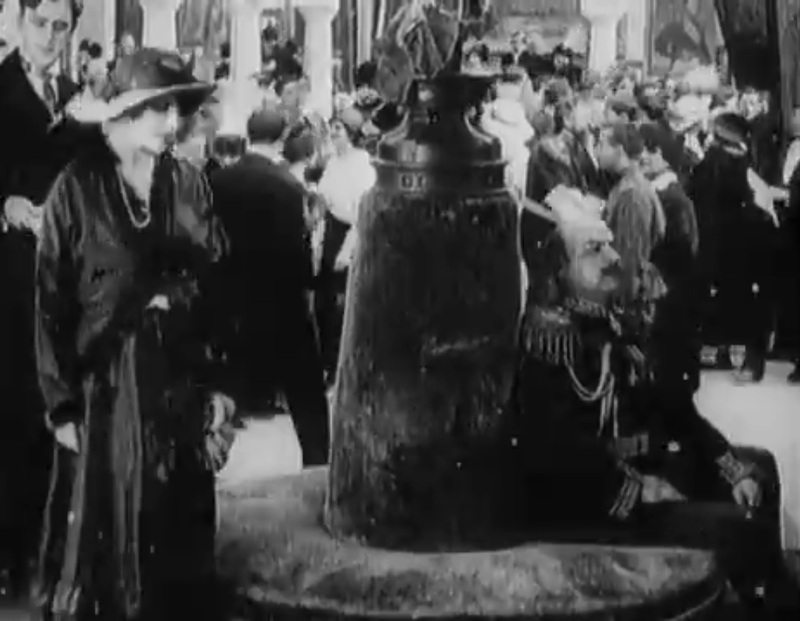 This film also established one of Russia’s most important film stars, Vera Kholodaia, as a major artistic phenomenon. The story is of two sisters, one adopted, who are raised by their very successful single mother. She runs a factory, spending most of her waking hours working, in order to secure the family’s fortune. 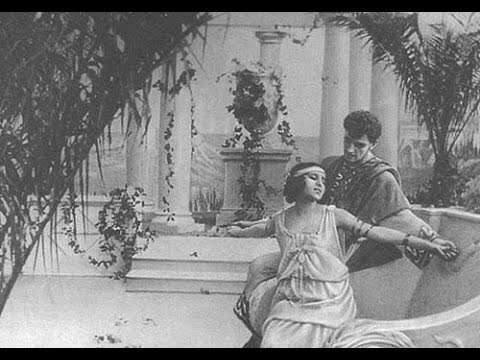 The adopted daughter, Nata (memorably played by Vera Kholodnaia, who was in “Children of the Age” and a 1914 version of “Anna Karenina”) is a little older, and quite beautiful, but it’s understood that she will not inherit, the money will go to Musia, the younger, less attractive natural daughter of the capitalist mom (Lidiia Koreneva). The young girls are social butterflies, going to dances, parties, and other events, where the men of course regard them as possible prey. Enter Prince Bartinskii (Vitol’d Polonskii), a scoundrel who gambles heavily and has enormous debts. He starts hanging around Nata and they fall in love. He confers with a friend (Ivan Perestiani, who became a director after the revolution, making “The Suram Fortress” and “Three Lives”) about his financial situation, and the friend points out that he needs a rich wife to help him get out of debt and continue his extravagant lifestyle. Nata is not the girl for him, whatever his feelings. But the friend suggests a solution, he is willing to make the sacrifice and marry the lovely Nata for him, if he will marry Musia. Then, the affair can continue, and the Prince will have the money he needs. And so it is done, and the setup for a multi-way tragedy is established. This may have been one of the first attempts in Russia to make a “blockbuster” big-budget hit movie, and it was apparently successful with audiences and critics. Based on a French novel by Georges Ohnet, it was not a nationalist epic, along the lines of “The Birth of a Nation” or “Defense of Savastapol.” Instead, it is a romantic story of bourgeois relationships being fouled by aristocratic greed and corruption, an interesting theme for pre-revolutionary Russia. Bauer took advantage of his increased budget by hiring extras and building large, ornate sets. Apparently his use of columns in the background was mocked in the press at the time and seen as an attempt to imitate “foreign” influences. I would agree that there are a lot of them – one in almost every shot, and in one scene a mirror serves to double one of them in case actors should happen to step in front of it. But, I don’t know why this would be seen as “foreign.” Bauer’s set designs generally tended to be busy, and he liked to give the eye more to look at than people; I’m pretty sure I’ve seen columns in other movies by him, I just wasn’t looking for them at the time. Furthermore, I can’t think of a foreign director of the time who used them so much. 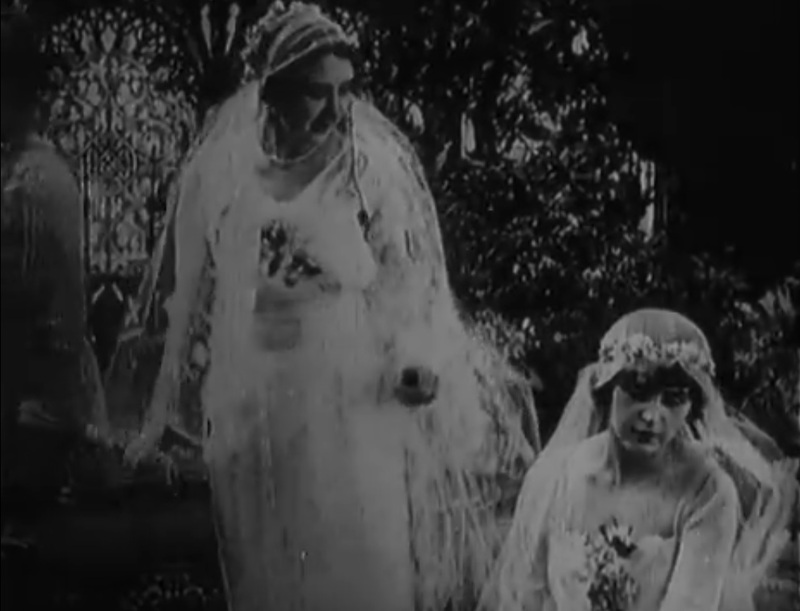 This movie apparently made Kholodnaia into a major Russian star, earning her the title of “Queen of the Screen,” and she is certainly the one to watch in this movie. She expresses love, joy, guilt, shame, horror, and terrible sadness, sometimes within just a few minutes of each other, but without over-acting, and all the while remaining the focal point of the film. The mom is actually pretty good too – in many ways she’s the real victim here – as is Perestiani. Polonskii and Koreneva have less to do – he mostly looks shifty and smarmy and she just looks stupidly injured. 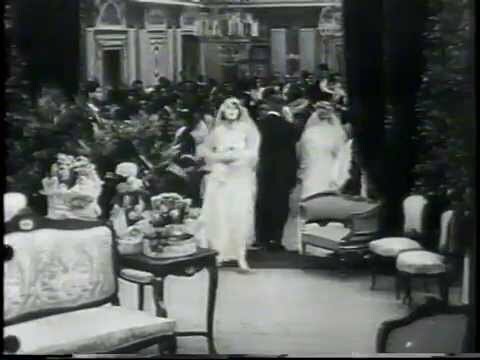 The scene where her mother advises her not to marry the prince is the height of melodramatic pantomime. It’s a really strong film! I’ve probably said this before, but in my eyes Bauer is one of the true MVPs of teens filmmaking. I just love Kholodnaya, and Olga Rakhmanova as the mother is impressive too. It is a great one, and yes, Bauer was way ahead of his time. It seems funny to me that anyone would criticize him for being “foreign” when he was so much better than the directors they accuse him of imitating!